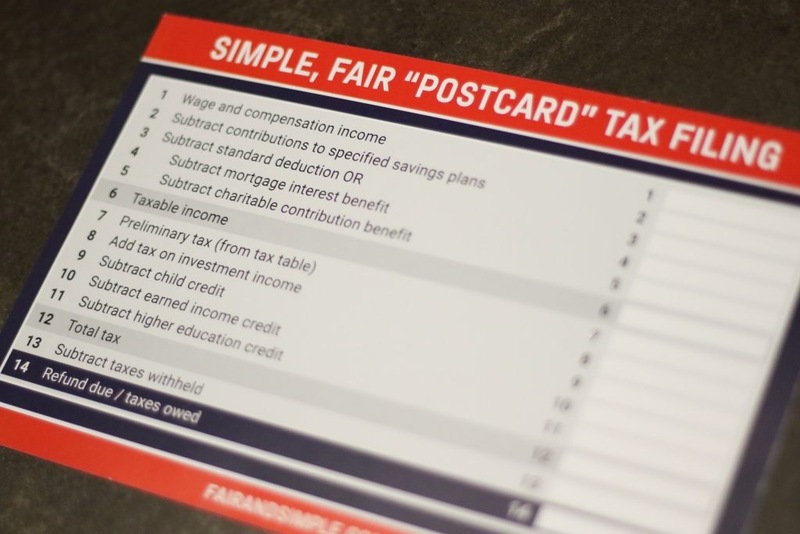 In 2019, Americans will be able to file a postcard-sized tax return. To some, the new form fulfills a longstanding goal. Whether anyone will actually benefit is a separate question. For decades, politicians have used the imagery of a postcard-sized tax return to invoke the notion of a streamlined, comprehensible tax code. Steve Forbes wrote a book advocating it in 2005. Speaker Paul Ryan proposed it in 2017. Finally, in 2018, the mythical tax postcard became real. Sort of. 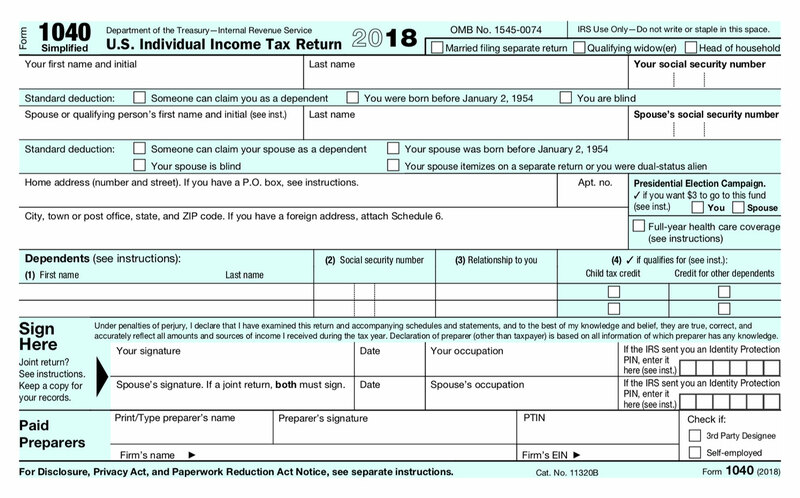 In late June, the Treasury Department released a preview of the 2019 version of Form 1040. Amended to align with December’s Tax Cuts and Jobs Act, the new form eliminated a small handful of line items, such as deductions for moving expenses and personal exemptions. But this was no ordinary update. In keeping with the Act’s claim to be simplifying the tax code, the IRS decided (or was told) that this would be the year postcard-sized taxes became real. As such, the form’s layout was also redesigned—formatted not for a full-size piece of paper, but a half-size piece of paper. Voilà! Postcard dream realized. Once accounting professionals got a look at the new form, however, most reacted with a massive eye-roll. Not because they had anything against a streamlined, comprehensible tax system, but because the redesign accomplished practically nothing. Simply put, the new 1040 is longer and less convenient than what it replaces. The old version was one double-sided page, whereas the 2019 document is eight half-sized pages. It just splits the traditional 1040’s worksheet lines into six new supplementary forms. As CPA Chris Whalen points out, all the IRS did was take the back side of the old 1040—worksheet lines 44 through 74—and simply divide up the line items, in order, into what are now Schedules 2, 3, 4, and 5. 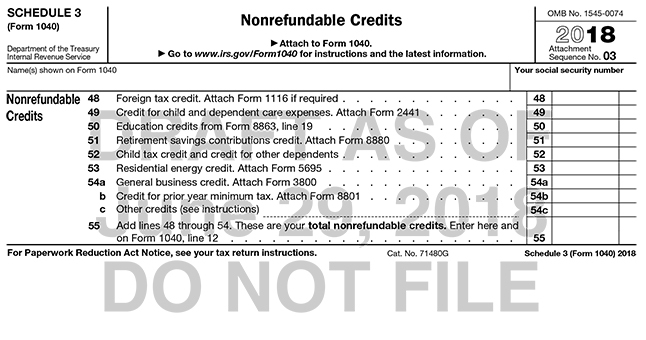 The new forms don’t even change the numbering from how they appear on the old 1040. Schedule 3 below, for example, is a standalone form that begins at #48. You can’t say it’s not small. Business owners already have to attach extensive documentation to their tax returns, so having the total dollar amounts listed in one place is helpful. Splitting up that list is counterproductive. Arguably, it’s the opposite of the streamlined, comprehensible ideal that the postcard concept represents. For what it’s worth, the government claims demand for a simpler tax form will be much higher in 2019 than in past years due to the nearly-doubled standard deduction. Late last year, the White House projected that three quarters of 2017 itemizers would move to the standard deduction under the new law. So in theory, those taxpayers will be skipping Schedule A and filling out a simplified form anyway. Could they benefit from a skimpier form It’s possible. Regardless, the truth is that few people will notice the new 1040. Around 70% of taxpayers e-filed their returns in 2017, and that figure is rising. Those people will not interact with the 1040 itself, or any other form in its proliferating warren of schedules. Certainly not as long as tax preparation software (which has the full endorsement of the IRS) and third-party accountants continue to do what Congress cannot: meaningfully improve the process of filing taxes.